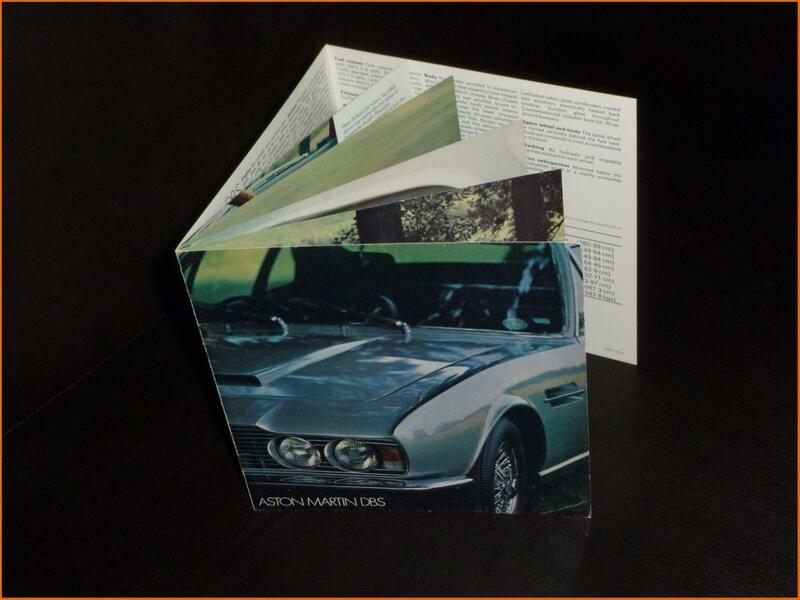 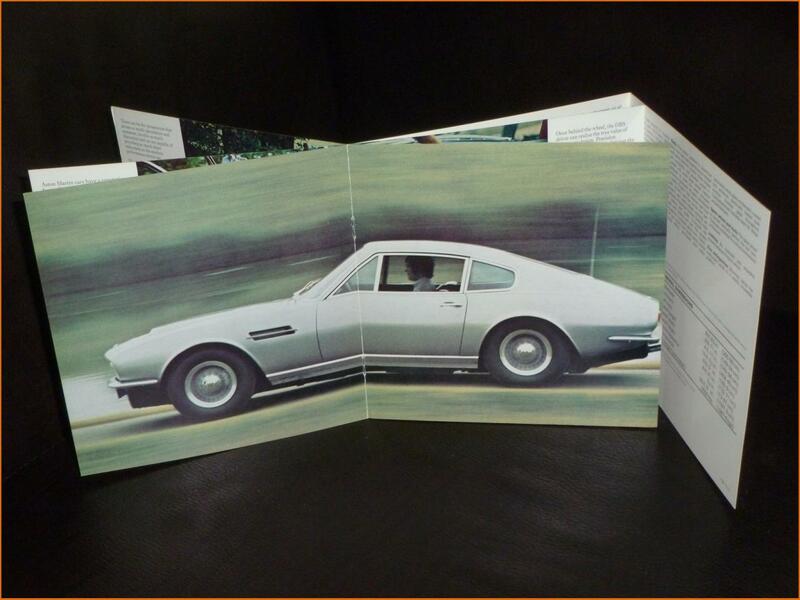 This is the third and final sales brochure for the Aston Martin DBS 6 cylinder cars. 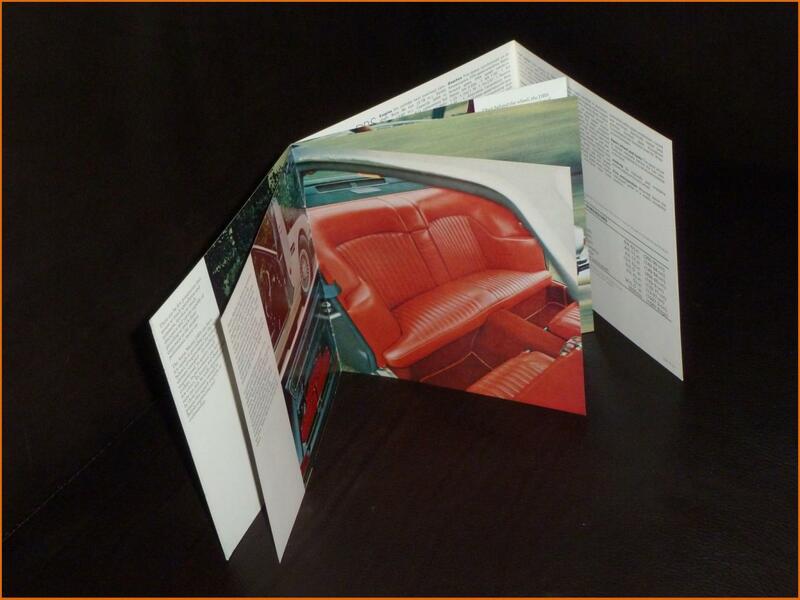 Although the photos are new, the format is identical to that used in the the earlier brochures. 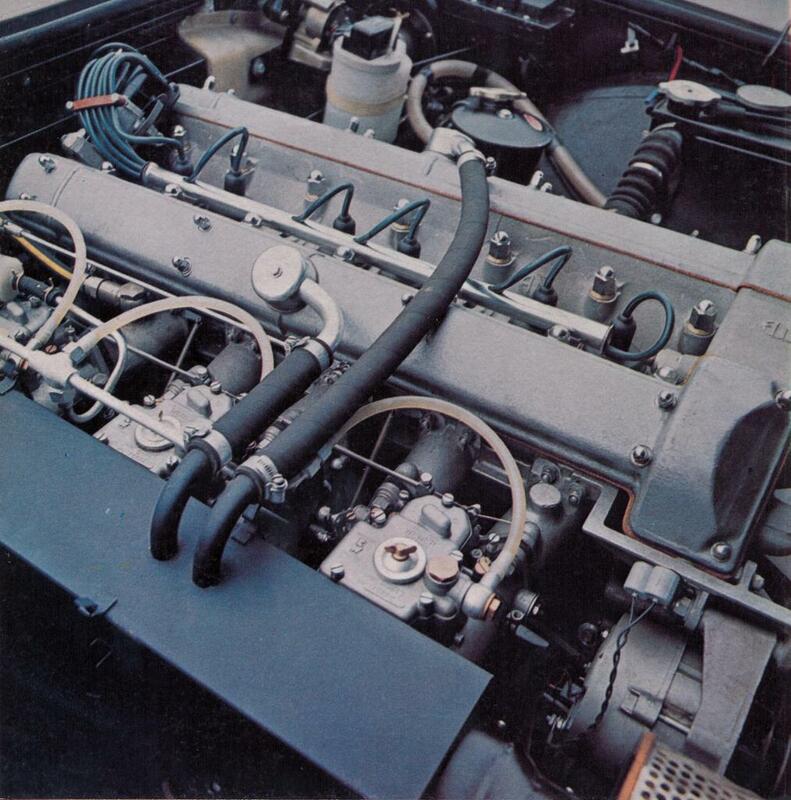 The featured DBS is a series 2 car and the series 1 wooden dashboard has been replaced by a more modern looking black equivalent. 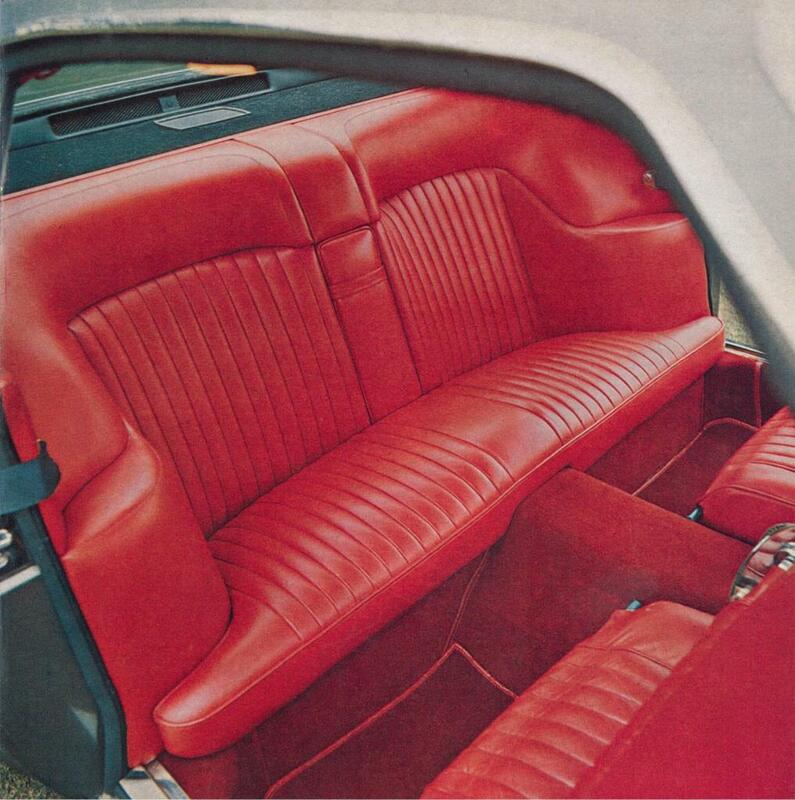 The gear lever is shorter but diametrically larger than on the earlier models. 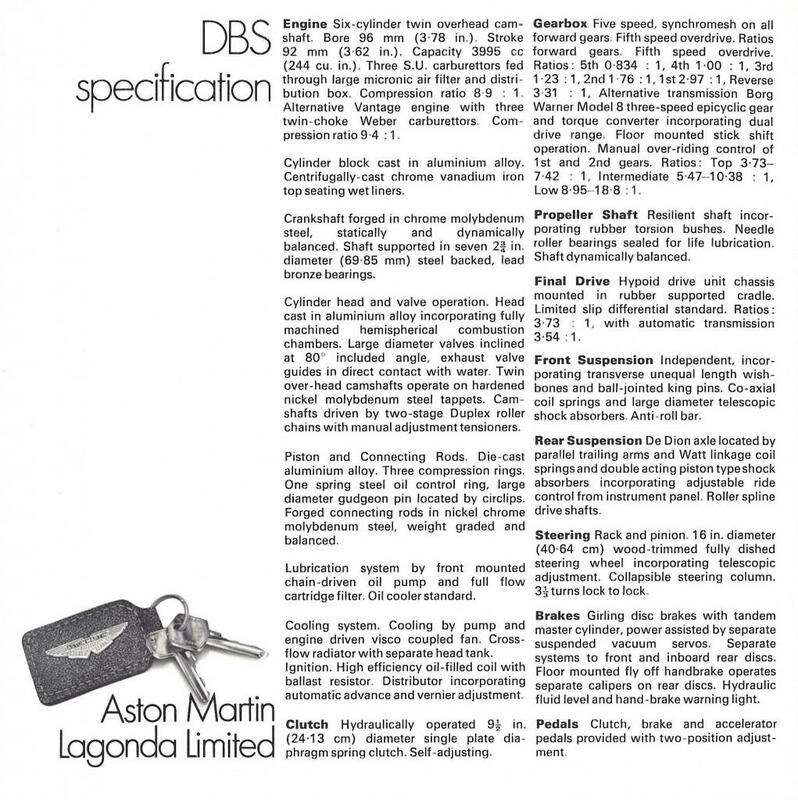 This DBS still has a wooden steering wheel, although this would not be available for much longer. 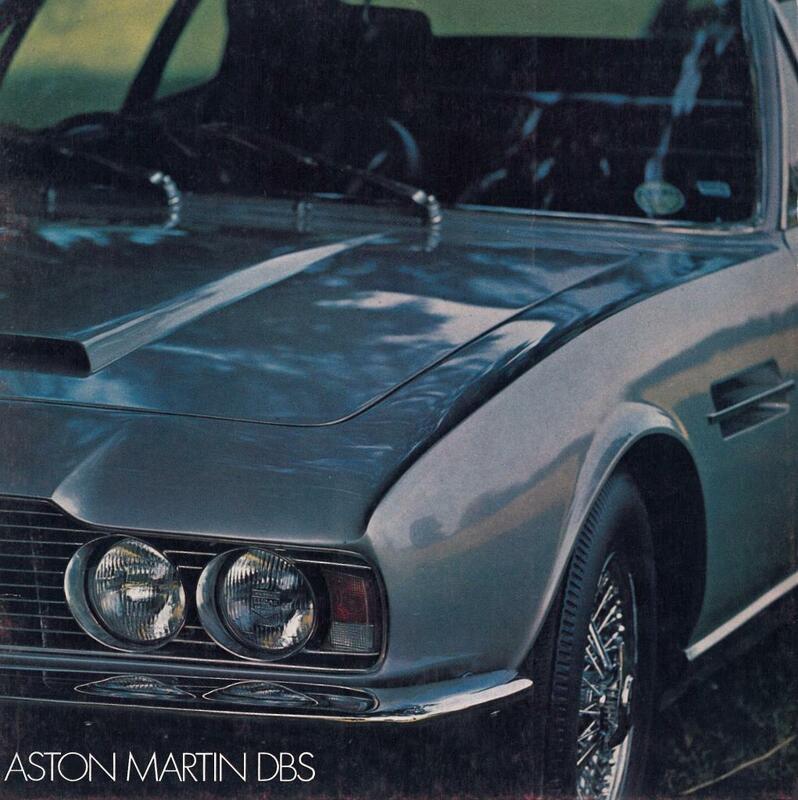 There is also a dashboard-mounted switch to operate the air conditioning which was one of several optional extras available on the Aston Martin DBS. 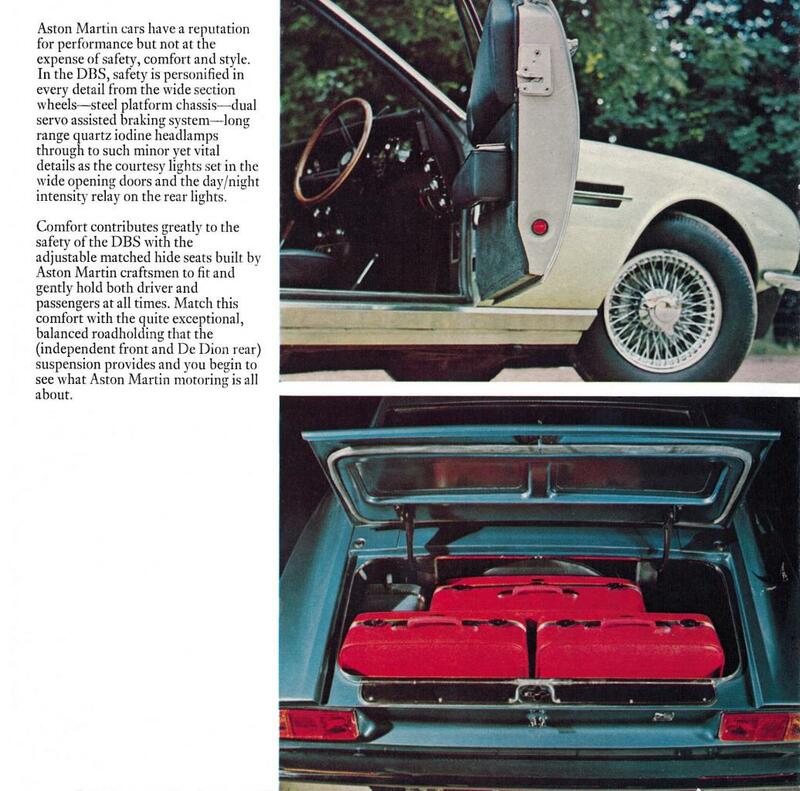 They also include the three superb red suit cases designed to fit into the DBS boot infront of the spare wheel. 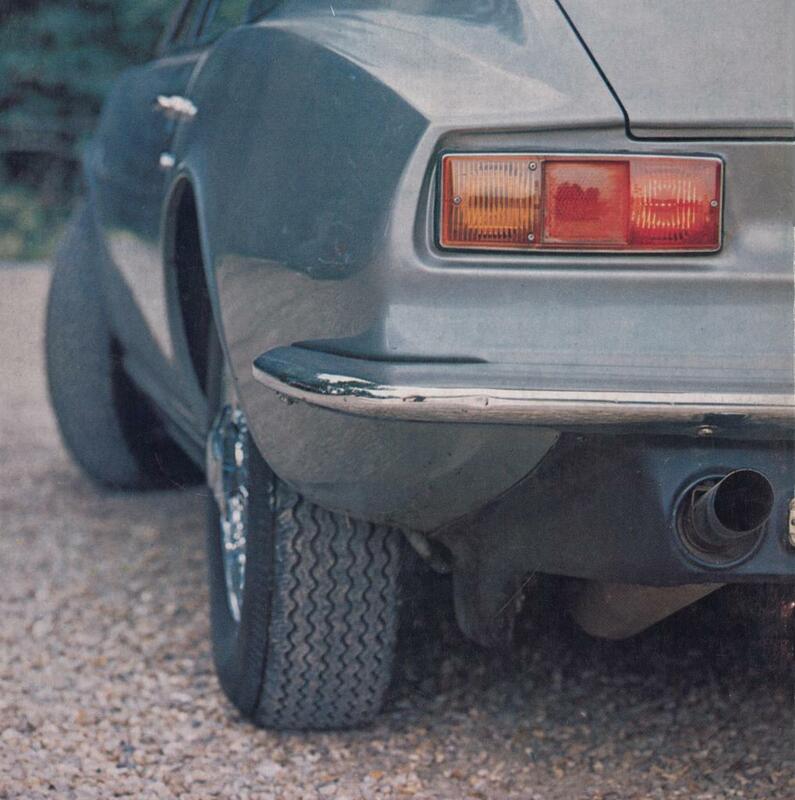 The elegant interior door pockets available on all early DBS cars and featured in the first edition have long since disappeared. 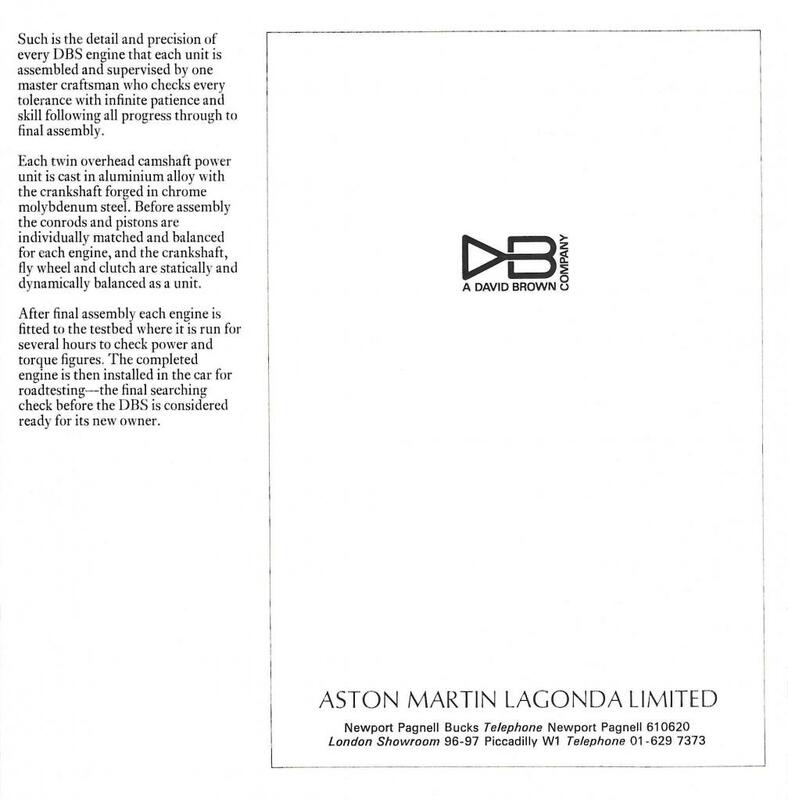 This particular brochure appears to have been printed in October 1970. 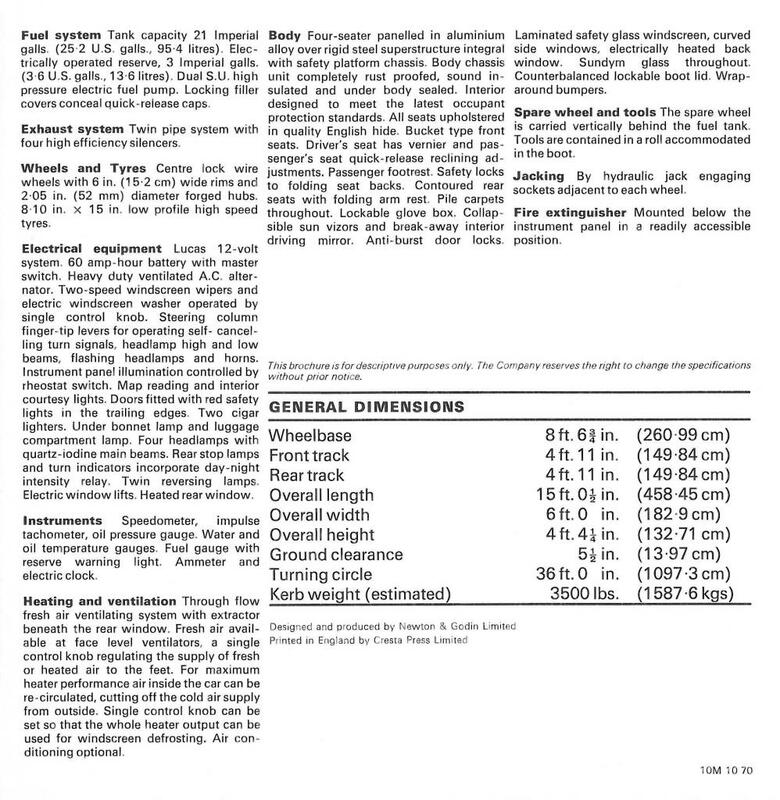 Unusually, the registration number of the featured car (PKX 24 H), is also visible. 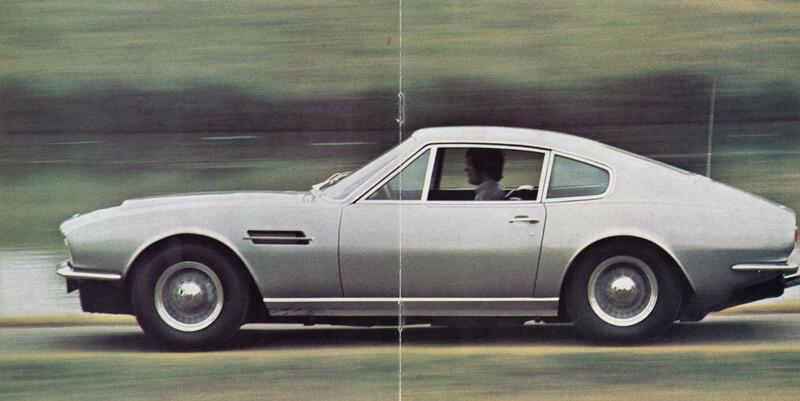 For the moment, the whereabouts of this DBS remain unknown and it is absent from our ongoing census of existing cars.